Many small or mid-sized B2B companies are still selling their products and services the old-fashioned way: through a traditional sales team, face-to-face interactions with a focus on selling products and services. These methods can still be invaluable. But today, they’re rarely enough. This is particularly true if your market is changing, or the people in your marketing are changing. Is the workforce turning over or consolidating? It’s also important to acknowledge three big-picture trends and to consider the right way for your organization to embrace them. 1. It’s a customer-centric world. To make an impact, you need to do more than be able to provide information about your company and the products and services you offer. You also need to be able to tell the story of your company in a way that is meaningful and interesting to your customer or prospect. How can your company uniquely help them overcome their challenges? How will you eliminate the pain points they are experiencing? "You also need to be able to tell the story of your company in a way that is meaningful and interesting to your customer." You need to be able to clearly and simply define your company not just in terms of what you do, but in terms of how you do it, and how that will improve your customer’s world. Once you’ve figured out how to tell your story in a way that emotionally connects with your audience, you also need discipline in telling that story. The messaging should be applied consistently across all your communications, whether it’s your marketing materials, your website, your sales team’s presentations or even face-to-face interactions with customers and prospects. 2. Data-driven marketing is here to stay. Today’s digital marketing tools enable you to collect and analyze customer information better than ever before to create optimal and targeted messaging that engages customers more effectively. If you’re not at least exploring these possibilities, you should be. At the very least, you should have a solid customer database that tells you who your customers are, what industry they’re in, and what they have been buying. But today’s marketing automation systems, used in tandem with your CRM, enable you to do so much more by helping you turn your customer data into effective outreach for targeted campaigns. Several resources, from Marketing Automation Insider (www.marketingautomationinsider.com) to respected review sites such as PCmag.com (https://www.pcmag.com/roundup/352693/the-best-marketing-automation-software) can help you find the right marketing automation system to fit your needs and budget. "Creating meaningful content takes thought." 3. 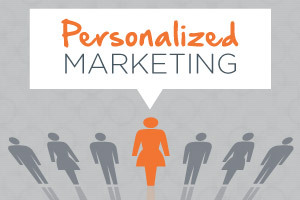 Personalization must be meaningful and relevant. Today, customers do not have time for general messages. They expect them to meaningful, personalized, and relevant. To create relevant messaging, your marketing should be based on accurate data, so you can deliver offers about things you customers want, need, or qualify for. This kind of content builds trust, while gimmicky messages do the opposite. Creating meaningful content takes thought. But it doesn’t have to take a disproportionate amount of your time. And if you appropriately focus on meaningful content and focus on quality over quantity, it shouldn’t demand too much of your customers’ time either. With today’s marketing automation tools, you can segment your leads and existing customers to deliver the right messages to the right audiences at the right times. You can learn more about your customers through every interaction they have with you. You can set up automated emails for follow-up after browsing or purchases, or at anniversary dates. You’ll be able to create data-driven content that connects and is always relevant, but that requires little work on your part. You can even use these tools to inform your sales team that it’s time for more personal outreach when a prospect or customer hits certain parameters. Used in this way, your technology and data aren’t replacing your traditional commitment to dedicated, personal customer service — they’re reinforcing it. Are you ready to take things to the next level through customer centric messaging, a data driven strategy with personalized, relevant marketing?